In 1993, one of the most ridiculous looking TV shows, with one of the most outrageous plotlines, was brought to the forefront of pop culture and kids and teens alike fell in love. It’s hard enough to believe that an intergalactic sorceress and her minions were held captive in a dumpster on the moon, but even more so that five teenagers were called upon to wear spandex suites and fight inside dinosaur robots — Dinozords — (and OF COURSE the five individual zords come together to form one Megazord) against putty patrollers (the equivalent of foot soldiers from the TMNT series) and giant Godzilla-looking villains sent from the two main bad guys: Rita Repulsa and Lord Zedd (starting in Season 2). As insane as it was (and really still is), it was all so captivating and has been continuing on in some form or another for 20 years now. Is it possible for a show to absolutely horrible, yet completely awesome, all at the same time? I would say that the Mighty Morphin’ Power Rangers are proof that this scenario is without a doubt possible. All these years later, Shout! Factory has released the Saban Entertainment’s original Power Rangers series in a complete box set. When you think about how low this show’s budget was and how poor the original film was (many scenes copied and reused from the Japan original), the DVD presentation does a very respectable job of cleaning up the video. It’s not as pretty as most series brought to DVD, as there are plenty of fuzzy video sections, but it’s much better looking than it was in 1993. Season 1 of the series circles around the five new power rangers getting to know their new friends Zordon and ALPHA 5, getting used to their new found powers, and fighting their enemies, but it is also the start of the biggest story in the series. Episode 17 of the season, “Green With Evil, Part I,” introduces the beginning of what is known by fans as the “Green Ranger Saga.” New kid, Tommy Oliver, is found to be a martial arts ace and placed under a spell from Rita to become her evil green ranger. The first part of the saga focuses on Tommy as the evil green ranger who seeks to destroy Zordon and the Power Rangers forever. The five part mini-series puts the Power Rangers to the test, but ultimately ends with the Power Rangers’ victory and with Green Ranger and his Dragonzord joining forces with Zordon and the other rangers. These five episodes are just the beginning of what was to come with Tommy and the Power Rangers in the only real running storyline throughout the show. After several more episodes of fighting Rita’s monsters and overcoming challenges, the story picks up again in episode 34, “The Green Candle, Part I.” Rita forms a magical green candle that is set to steal Tommy’s powers and give them to Rita forever. The rangers fight valiantly, but they cannot keep the candle from going out. Tommy’s power coin, and his gold shoulder shield (known as the Dragon Shield), is given to Jason as the exchange of coin keeps the Green Ranger’s powers with Zordon, and now the Red Ranger. Tommy returns as the Green Ranger in episode 50, “Return of an Old Friend, Part 2,” as he is the only person who can help the other five rangers who gave up their power coins in order to save their parents. Tommy receives an enormous energy boost from Zordon to temporarily regain his powers. With this boost, he is able to save his fellow rangers and continue fighting Rita for the remainder of the season with periodic boosts of Zordon’s energy. The uncertainty of what will become of the Green Ranger is in the balance and his fate is left to ponder until the series’ second season. Season 2 starts with Rita’s boss, Lord Zedd, sending her back to the moon dumpster for failing to destroy the Power Rangers, and their new nemesis is introduced. The three-part opening finds the Power Rangers with new zords and down one member as the Green Ranger no longer has a zord. It also is the beginning of the alternate, minor storyline of Bulk and Skull attempting to discover the rangers’ true identities. Finally, in the two-part “Green No More,” the Green Ranger’s powers are finally gone completely, but later in the season, the Green Ranger saga comes full-circle. In both parts of “White Light,” a new ranger is created and Tommy finally takes over as the iconic White Ranger. Just when things seem like they are back on track for the rangers, the episode “The Power Transfer” rolls around. Jason, Zach, and Trini are chosen to attend a teen peace conference and leave a big vacancy in the ranger’s squad. 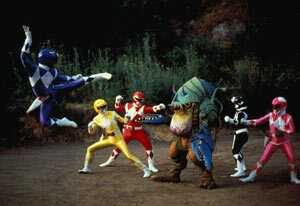 Replacements are found as Adam, Rocky, and Aisha assume the roles of the red, black, and yellow rangers. Another interesting episode from the season is “When is a Ranger Not a Ranger.” In the episode, Bulk and Skull finally figure out the Rangers’ identities. With the actual Power Rangers having memory loss because of Zedd’s latest creation, Bulk and Skull are forced to “help.” The episode ends, however, with the rangers retrieving their memories, while Bulk and Skull lose any memories of their discovery. More havoc is unveiled in “The Wedding” as Rita Repulsa makes her return and ties the knot with Lord Zedd. One of the last memorable episode(s), and a slight milking of the storyline, of the season is with the three-parter “Return of the Green Ranger.” Rita finds a way to send the rangers back in time and uses a spell to resurrect the evil Green Ranger. While Zedd and Rita are still in charge, Season 3 introduces yet another villain. Rita’s brother, Rito Revolto (a helmet clad skeleton) enters the scene. While initially seen as a powerful enemy, Rito becomes not much more than an equivalent to Goldar. This was also the start of the Power Rangers heading towards the even more ridiculous – if that’s even possible. When Rito comes to town in “Ninja Quest,” the rangers have to find the guardian Ninjor get new powers and zords as their thunder zords are destroyed. Ninja zords… If ninja zords aren’t enough, when Tommy has yet another spell cast on him in “Changing of the Zords,” the rangers find out about even more powerful zords that Zedd may gain control of in the shogun zords. In these three episodes, a new character, Kat, is used much like Tommy was by Rita. In the end, Kat becomes friends with the rangers and will eventually become the Pink Ranger in “A Different Shade of Pink” as Kimberly moves to Florida to train for a global gymnastics competition. Season 3 ends with rangers as powerless children, while Rita, Zedd and Goldar have all grown to destroy the earth. Also included with the complete series is the short mini-series, often referred to as Season 3.5, Mighty Morphin Alien Rangers. The mini-series opens where Season 3 ended – the rangers as kids with a giant Rita, Zedd, and Goldar coming to Angel Grove. The Alien Rangers of Aquitar are brought in to assist as the original rangers set out to find sub-crystals of the Zeo Crystal. As each ranger finds their crystal, they are returned to normal. After the Zeo Crystal is complete, Billy builds a machine to set the earth back to normal, but Rita has plans of her own. The mini-series ends with the big cliff-hanger of Rita stealing the Zeo Crystal and the command center being destroyed. The rangers are teleported to safety, but the rangers’, and the earth’s, future are in question. Mighty Morphin Alien Rangers would then segue to Power Rangers Zeo, but would be the end of the original American franchise. There are a lot of episodes here, but the question is, “Is it worth the $80 – $100 price tag to pick up the box set?” I guess that all depends on how big of a fan of the rangers you were. It is definitely the most complete collection of original Power Rangers episodes that you can find, but the 1995 theatrical movie is not included in the bunch. If you have a need to revisit your younger days, or to share with your own child the cheesiness of the Power Rangers, this set is a must-have. 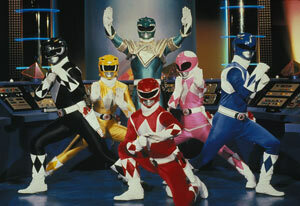 The Power Rangers are still going strong and are still relevant after 20 years. Why not show your kids, and reminisce yourself, where the Power Rangers‘ fad started? Morphin Time! – A look back at the MMPR phenomenon with brand-new interviews featuring members of the cast and creative team. A Morphenomenal Cast – Casting Director Katy Wallin and the show’s stars recall what it took to become Power Rangers. 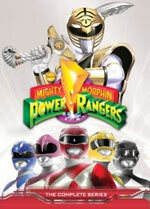 The Fans Power Up – MMPR fans remember the series.